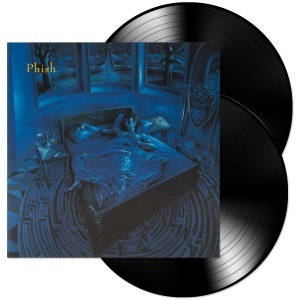 Rift is Phish's fourth official studio album and the next to be released on vinyl by JEMP Records. The album was originally recorded in September and October at White Crow Studios in Burlington, VT on 24-track 2" tape by engineer Kevin Halpin assisted by Jon Altschiller. Rift was mastered by Bob Ludwig and released by Elektra on 9/2/93. It was certified Gold. In 2014, Chris Bellman at Bernie Grundman Mastering cut lacquers from DAT Flat Masters for the vinyl edition. Each LP of this 2-LP set is pressed onto 180g audiophile grade vinyl and includes a free MP3 download of the album transferred from the vinyl.